I found some magical and inspiring photos taken by one of the inaugural runners of the Copper Canyon Ultra and talented ultra runner himself Luis Escobar. His beautiful and respectfully taken photos of the Tarahumara and gringo ultra runners are at AllWeDoIsRun.com. In 2006 Caballo Blanco (aka Micah True) put on a friendly match race with some Tarahumara and some of the most talented ultra marathoners in the world including Scott Jurek. Check out Caballo Blanco’s web site for more info about his inspiring and wonderful Copper Canyon Run and Ultra Marathon Race. This entry was posted in ultra running by arkirwin. Bookmark the permalink. I got your Twitter follow request this afternoon – thanks! I’m almost done with Born to Run myself, and it’s been a great read. I bought a pair of Nike Free 3.0’s as a way to experiment with the minimalist shoe approach, and I absolutely love them (2 runs in). Probably the most comfortable shoes I’ve ever worn. Did a 7+ mile run the other day with no problems/pain. Check them out here:http://www.dailymile.com/people/Oblinkin/entries/160294It's amazing how the book really can make you want to run 50+ miles – I’m in the same boat. 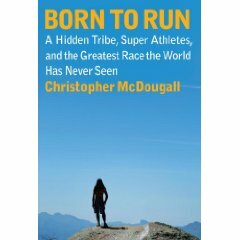 thanks for keeping me on track to finally read chris mcdougall's book! I've been saying it for too long, but haven't been able to put aside time to do it. I loved the photos at allwedosirun.com as well. copper canyon looks like an amazing place to run.see you down the trail!